With championship week 16 upon us, the offseason is only hours away. Now is the perfect time to get an edge in offseason trades, rookie drafts, and startups, by ordering The Analytics of Dynasty. I hear some of these narratives every week on podcasts and read them in writing. With The Analytics of Dynasty, you will be able to exploit them in drafts and trades. The book will help you make more efficient and winning dynasty rosters. 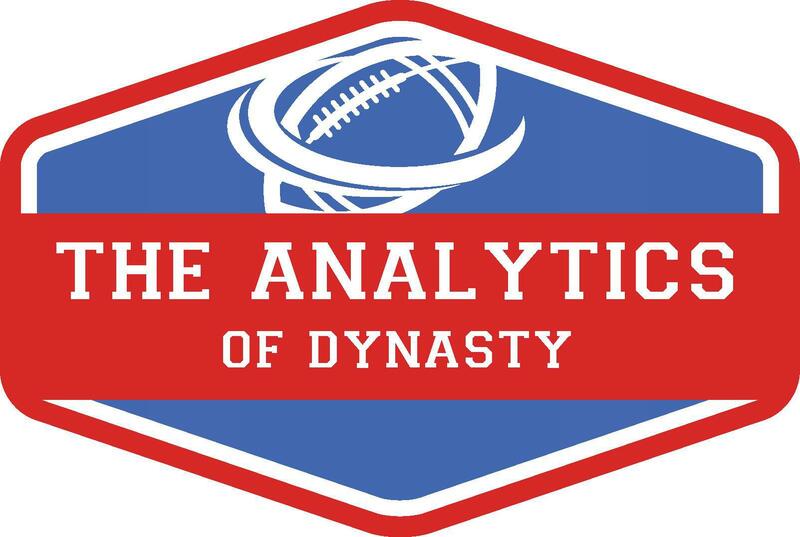 The Analytics of Dynasty – $30. The Analytics of Dynasty with a one-on-one strategy session – $50. The Analytics of Dynasty will be released in PDF form in late January. Have a startup draft before then? Let me know and I’ll get you some advanced strategy points. Merry Christmas, Happy Holidays, and good luck in your championship games!